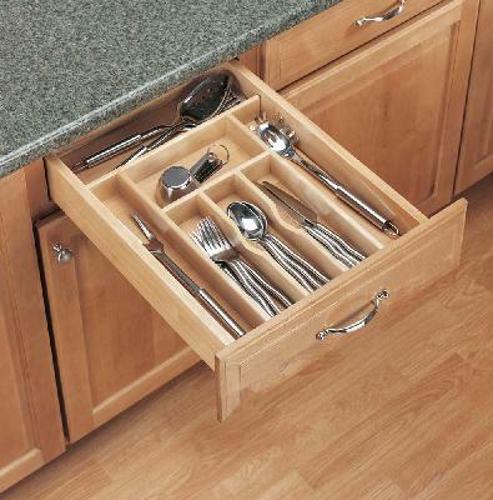 Rev-A-Shelf drop-in cutlery trays quickly organize the messiest of drawers. 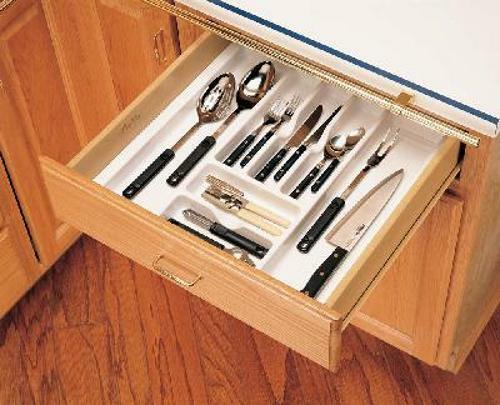 Organize your silverware, flatware, and cutlery in a matter of minutes. Is it hard to find a tray to fit your drawer? We have the solution! 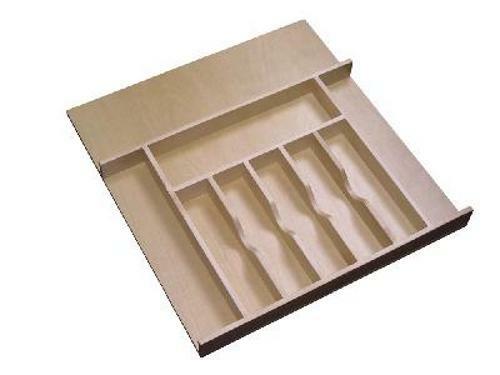 Available in a variety of materials and finishes, our trays can be trimmed to fit your drawer. 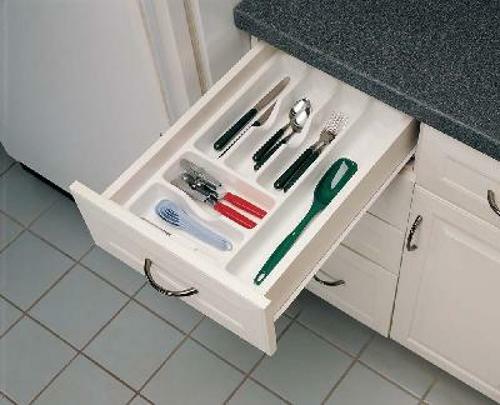 Rev-A-Shelf drop-in cutlery trays quickly organize the messiest of drawers. 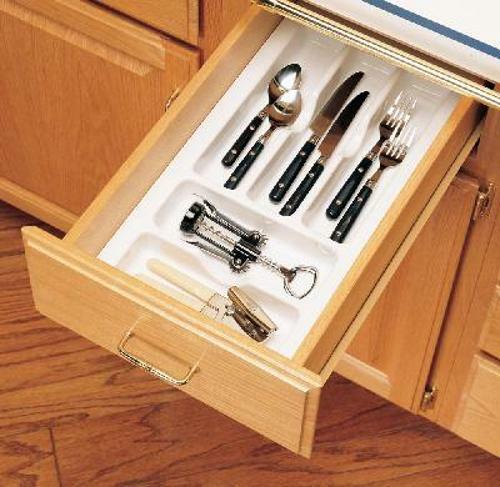 Organize your silverware, flatware, and cutlery in a matter of minutes. 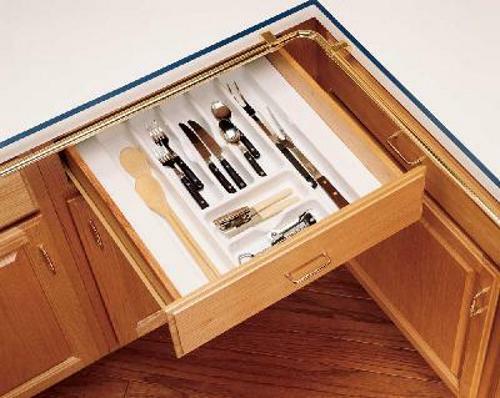 Is it hard to find a tray that actually fits your drawer? We have the solution! Available in a variety of materials and finishes, our trays can be trimmed to fit your drawer. Ships with a removable clear coating to protect the finish. Our collection of trays will fit virtually any kitchen drawer and organizational need. All trays are trimmable to fit inside your drawers dimensions. They are made of heavy gauge polystyrene and are top-rack dishwasher safe.